The Badminton World Federation (BWF) and Special Olympics International (SOI) have today signed a landmark Memorandum of Understanding (MoU) to increase the growth, quality and frequency of badminton participation around the world. 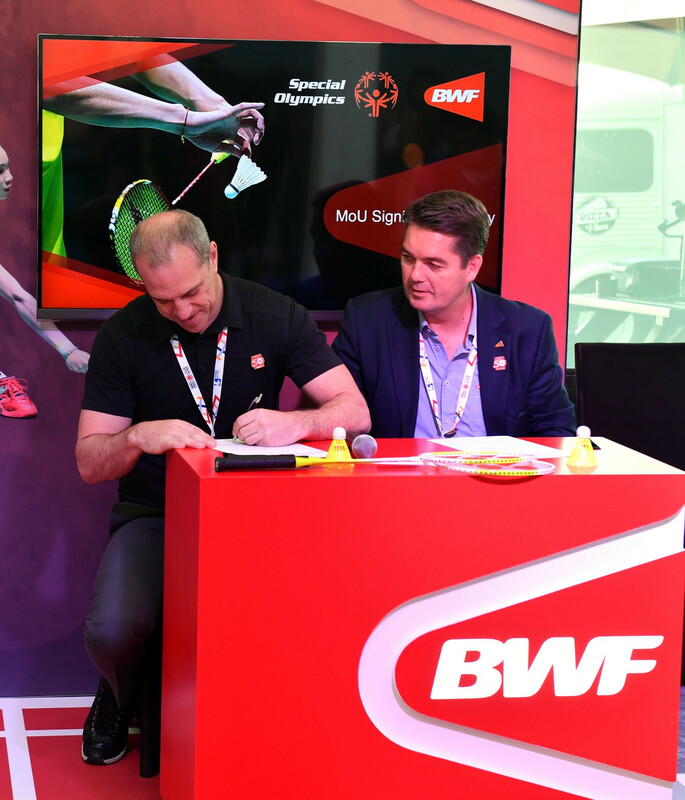 BWF President Poul-Erik Høyer and Special Olympics senior vice-president of sport and health Drew Boshell undertook the signing in Abu Dhabi, where the 15th edition of the Special Olympics World Summer Games is currently taking place. Høyer said the landmark agreement aligns with the BWF’s commitment of providing high-quality sporting experiences and opportunities for all. 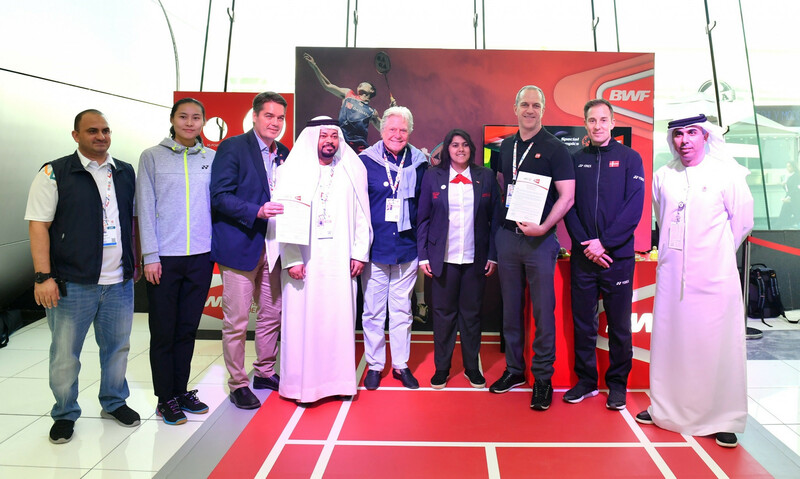 "It is with great pleasure that I announce that BWF and Special Olympics International have joined forces as part of a greater effort to grow the sport of badminton," he said. "In line with our motto that badminton is a sport for all, we are committed to providing avenues of participation for everyone. "What we have seen here this week in Abu Dhabi is an amazing platform that allows people of great spirit to show the world what they can do. "This partnership will hopefully foster the establishment of more platforms to allow children and adults with intellectual disabilities to experience badminton all the time." Special Olympics chairman Timothy Shriver echoed Høyer’s thoughts, stating the shared common values of both organisations lent itself to a long-term cooperation. "Special Olympics is excited to have the opportunity to strengthen our relationship with the Badminton World Federation," he said. "Our shared vision enables us to create additional opportunities for our athletes to learn about badminton and to experience the joy of the sport." The partnership will see SOI recognise the BWF as an official international partner and the BWF provide high-quality training opportunities, where appropriate, to identified Special Olympics personnel. The SOI will also endorse BWF Shuttle Time, a programme supporting the principle that children should lead a healthy and active life both in and out of school, and its coach education programmes as an example of best practice in supporting the growth and development of badminton as an inclusive sport for all. Additionally, the BWF will facilitate the delivery of a safe, fun and positive experience of badminton. "As a Federation, we are so excited to be here in Abu Dhabi as part of this great celebration, and I sincerely thank Dr. Tim Shriver, Drew Boshell and the team for their leadership, dedication and support of the Special Olympics movement," Høyer added. 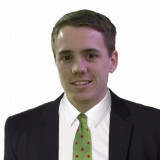 "These are exciting times and we look forward to this new relationship evolving in the coming years." The announcement came on day four of competition at Abu Dhabi 2019. Among the highlights of today's action was an impressive 3-0 win for hosts the United Arab Emirates against South Korea in the second round of the 11-a-side football tournament at Zayed Sports City. After a goalless first-half, Abdullah Peerak opened the scoring in the 48th minute before doubling the lead six minutes later. Khaled Al-Mazmi bagged the third in the 55th minute. It was the UAE's third consecutive triumph in the competition. The team previously beat Jamaica 4-1 and South Africa 4-0 in the opening stage.